She's back again with a bouquet of new releases - and I don't know how she does it. 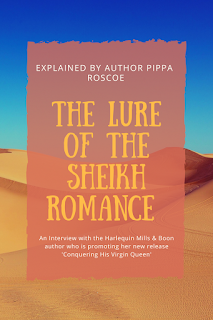 I'm talking about the amazing Sally Quilford, a favourite author of mine, who writes romances historical and contemporary, which practically come alive on your Kindle (or your computer or whatever e reader you happen to use). She just keeps coming back with more and more wonderful stories. Her latest batch of includes a regency novel (HER LOVING PROTECTOR), a more recent historical (ANNA'S RETURN) and a short contemporary (HER FRIEND FROM THE NORTH) so that should keep her readers happy for a while. 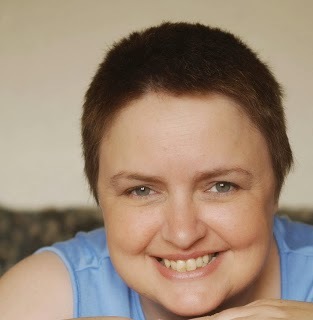 I took the opportunity to ask Sally a few questions about her writing and her new releases. 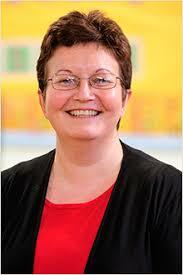 What's the secret behind your prolific output Sally? I'm intrigued to know. Do you write every day? Do you have a specific target? There’s no big secret I can share. I don’t sit down and write every day. I only write when I’m inspired. Normally I’m inspired a lot. Perhaps too much as I have so many ideas running around and not enough time to work on them all, so some end up being left. I haven’t been quite as prolific this year as I’ve been learning to drive and it seems I’ve lost my ability to multi-task! But writing is always waiting there for me so I know that when the time is right, I’ll come back to it. We have two historicals (LOVING PROTECTOR and ANNA'S RETURN) and AND contemporary among your latest releases Sally. What is your favourite of the two genres? Writing the Regency was fun, but it’s so fraught with difficulties. Regency fans are rather strict about authors getting the historical facts correct. I did research, but even so, it’s easy to get caught out using modern phrases and idioms. But being too historically accurate can get in the way of a story. For example, yes there were morals and codes in the Regency era, but not everyone would follow them. Unmarried mothers, for example, are by no means a new invention. One of the novels is set in the 1940s-1950s. That’s one of my favourite eras to write in. But I’d be lying if I didn’t say contemporary was easier. There’s not as much research required, and no one is going to tell me off for having my heroine eating in a restaurant! How long does it take you to write a 50k novel? I'm just asking about a first draft. I’ve been known to complete the first draft of a 50k novel in less than a month. In fact, I’ve written, edited and had one accepted all in the same month! That’s when the writing is going well. I like to work like that as if I have to leave a story for any length of time, I lose interest in it. So the best thing for me is to keep going until I complete it. It may not be perfect – no first draft ever is – but I have something to work with. Do you do your own editing? Yes, I do. I tend to edit as I go along anyway, then I go through again, line by line. Then I spellcheck and still make changes as I go along. The markets I write for, DC Thomson and Ulverscroft, like almost perfect manuscripts, so I try to make sure mine is. That doesn’t mean that typos don’t sometimes creep through, but I think I’ve got better at it. Can you sum up your three new releases in a tweet each? 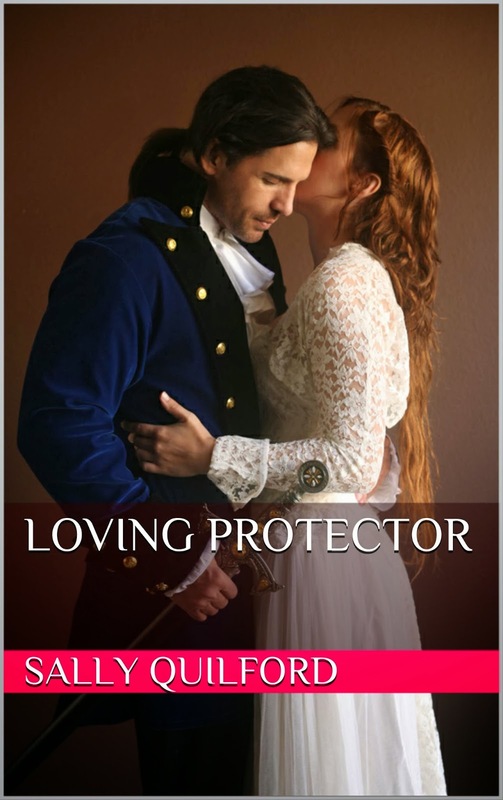 LOVING PROTECTOR: Calista and her family are saved by the dashing Brook Windebank, but can Calista save Brook from his mercurial father? ANNA'S RETURN: Anna and Janek escape war torn Europe, and she dreams of him being the family she has never known. HER FRIEND FROM THE NORTH: Valentine Day has not intentions of following Seth Miller to Venice, even if he is the best kisser she’s ever met. En route to London for the Season, Calista Haywood and her family are saved from a highwayman by the dashing Brook Windebank. Later, when he valiantly steps in to prevent an unpleasant earl from claiming Calista as his wife, she fears that Brook is only being chivalrous and will never love her as she loves him. When there is a threat to Brook’s life, she is forced to pit her wits against his mercurial father, The Duke of Midchester. Anna Silverton and Janek Dabrowski escape war torn Europe together, and in doing so forge a friendship that carries them through difficult times. Even when they are apart, Anna dreams of Janek coming for her so they can be a family. When she is accused of causing harm to her half-brother, Teddy, she runs away, finding Janek again. Their childhood friendship soon turns to a tentative love, but the vicious lies told about Anna once again force them to part. When Valentine meets a handsome man in the rain, it sets her off on the adventure of her lifetime. Sally has a signed, print copy of one of her lovely pocket novels, TAKE MY BREATH AWAY, for one lucky commenter. So please leave a comment before you go. My pleasure, Sally, as always. I honestly don't know anyone who works as hard at their writing as Sally. Inspirational! You are quite correct, Kate. She inspires me no end. I'm in awe of Sally's output. Even contemporary novels can attract criticism from readers. A few years ago I attended a talk given by thriller writer Lee Child, and he said even though he does meticulous research for his gun facts he still receives complaints from readers with a different opinion! Thanks Cherie. I have to admit here that because I used to work as a legal advisor at the Citizens Advice Bureau, if anyone gets an aspect of the law wrong (especially employment law which was my speciality) I get a bit antsy. But I'd never call the writer on it. Sometimes the facts have to be fudged for the sake of a good story. Hey Patsy, nice to see you over here. Welcome, Caroline, good to see you. It's been a while. Yes, getting your facts right can be difficult, but I remember reading a novel set in the eighteenth century. The heroine was discussing 'making love' with a friend of hers. Now as far as I'm concerned, that's a saying from the swinging sixties. That one phrase lost the cred of the story for me. Great to meet you, Sally. I wish I wrote as fast as you! Making love meant a very different thing in historical times, didn't it? It could be anything from making eyes at someone across the room to flirting. If the author meant it in the innocent way, the s/he wasn't wrong, but if s/he meant it in the sexual way, it's perhaps a bit of an anachronism. Thank you to everyone for the comments! Sorry I haven't replied sooner. I've been busy these past few weeks. Congratulations to Patsy, who won the book. I'll be putting it into the post tomorrow.